To enrol on our exchange or study abroad programme you must have completed at least one year of study and be in good academic standing at your home university. Some subject areas, for example art and design, will expect to see a portfolio of work as part of the application process onto particular modules. If you are applying to spend a semester or year studying abroad at NTU you must ensure you meet our standard English language requirements. Language requirements vary according to which teaching school you wish to take modules in. Erasmus+ students are expected to meet Level B2 on the Common European Framework of Reference for languages. If you are an Erasmus+ applicant of EU/EEA nationality, you do not need to submit English language evidence because your home university will ensure that you are at the required level. If you intend to apply for a Tier 4 student visa, you will be required to submit evidence with your supporting documents that you have met our standard language requirements. If you have been nominated via the Erasmus+ programme and are applying to be at NTU for less than 6 months, you may be able to apply for a short-term study visa. If so, we may not require evidence of your English language level. 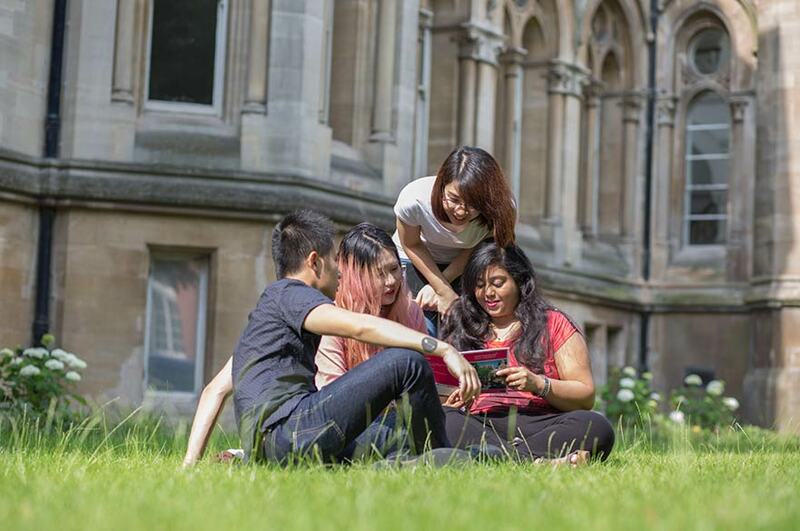 If you are applying for our fee-paying Study Abroad Programme and do not meet our direct entry requirements, you could come to the University early to study on one of our Pre-sessional English for Academic Purposes (PEAP) courses. Find out more about visa and immigration requirements and alternative English Language tests accepted by NTU.